The Cuban Vice President INES Maria Chapman Waugh arrived in Lesotho on Wednesday for her two day official visit. Upon her arrival she met with the Minister of Foreign Affairs, Mr. Lesego Makgothi who said the Vice President’s visit is part of the country’s efforts to enhance cordial relations between the two countries. is in the country as part of efforts to enhance cordial relations between the two countries. He said this is also to show appreciation for the support that Lesotho has shown to Cuba while it was still under United States (US) sanctions, saying this was witnessed through the statement that the Prime Minister, Dr Motsoahae Thabane made during the 2018 UN General Assembly. He added that this is also to enhance trade relations between the two countries. Mir. Makgothi revealed that since the establishment of diplomatic relations between Lesotho and Cuba in 1979, the two countries have cultivated warm bilateral relations that continued to grow from strength to strength thus resulting in signing an Agreement on Cooperation in 2000, saying this has since culminated into a Joint Commission on Economic, Scientific and Technical Cooperation. He said Cuba has been assisting Lesotho in various sectors of development, citing health and education and that it has also offered two professors to the National University of Lesotho (NUL). He added that Cuba has also offered scholarships for Basotho students to study in fields such as Medicine and Physical Education. The Vice President also met the Minister of Health, Mr. Nkaku Kabi and former Basotho students who studied in Cuba and also had dinner with the Deputy Prime Minister Mr. Monyane Moleleki. 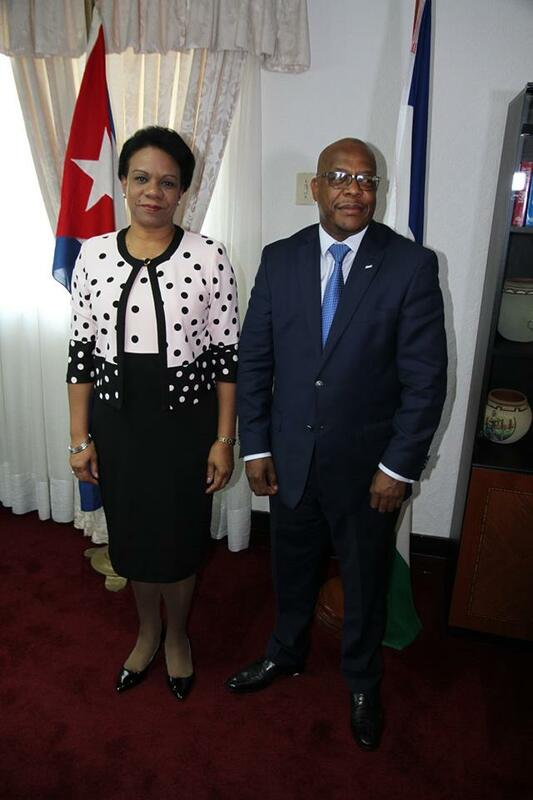 Meanwhile, on Thursday, Mrs. INES Maria Chapman Waugh held a meeting with the Speaker of the National Assembly, Mr. Sephiri Motanyane at the new Parliament Building whereby she invited the Speaker to visit Cuba. As part of the visit, the Vice President toured the heritage site of Thaba Bosiu Cultural Village and laid wreath at the King Moshoeshoe I Statue. As part of the enhancement of cooperation between Lesotho and Cuba, about 33 Cuban medical doctors will be deployed in the country.